GoodReads Summary: Ten years ago Kate Winters' parents were taken by the High Council's wardens to help with the country's war effort. Now the wardens are back...and prisoners, including Kate's uncle Artemis, are taken south on the terrifying Night Train. Kate and her friend Edgar are hunted by a far more dangerous enemy. Silas Dane -- the High Council's most feared man -- recognises Kate as one of the Skilled; a rare group of people able to see through the veil between the living and the dead. His spirit was damaged by the High Council's experiments into the veil, and he's convinced that Kate can undo the damage and allow him to find peace. The knowledge Kate needs lies within Wintercraft -- a book thought to be hidden deep beneath the graveyard city of Fume. But the Night of Souls, when the veil between life and death is at its thinnest, is just days away and the High Council have their own sinister plans for Kate and Wintercraft. To help Artemis, Edgar and herself, Kate must honour her pact with a murderer and come face to face with the true nature of death. Wintercraft is a quick and compelling read! Jenna Burtenshaw has beautifully crafted together a great mix of characters. Kate is a wonderful heroine, kind and thoughtful, yet also brave and stubborn. I admired her for fighting for the ones she loved and never backing down. I thought the friendship between Kate and Edgar was sweet. They helped each other out and took risks for one another, even if it meant putting their lives in danger. My favourite character was the dark and broody, Silas Dane. At first he's presented as the bad guy with a cold and violent exterior, but there's more to him than meets the eye. Even though he did some horrible things, I felt sympathetic towards him and understood why he was the way he was. Props to Jenna for creating such a layered character! There is no romance, but I'm holding out hope that there will be in book 2. The detailed and beautiful descriptions of the world made me feel like I was there with Kate on her dark and dangerous journey. Although slow at times, there were plenty of faced paced action scenes that had me hooked and unable to put the book down. 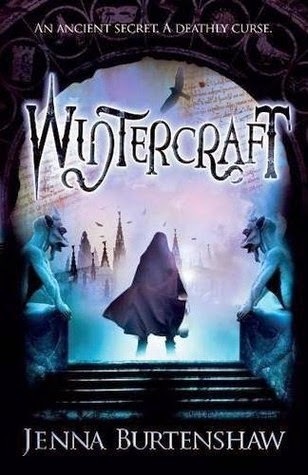 Overall, I loved Wintercraft and would definitely recommend it to fantasy fans. It sounds pretty good, I hadn't heard of this book until now !! I'm adding it to my TBR .. I'm hoping there will be some romance in the next book because I like when there's some :) !! This is definitely going on my wishlist! Silas, for one, has me intrigued. I love the dark and mysterious types. Great review! I haven't heard of this book before but it sounds amazing! I am a fan of fantasy so I should add this book to my TBR! Awesome review, Renu! <3 Glad you enjoyed it!